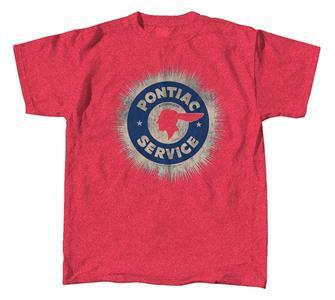 The "Pontiac Service Sign" t-shirt features a large image on the front of an old school Pontiac Service sign surrounded by a halo. This is all printed on a high quality, pre-shrunk 100% cotton Gildan t-shirt in "red heather" faded red. This product was added to our catalog on Wednesday 09 May, 2018.